Shipping costs: Shipping costs are included for shipment within the United States and Canada. For shipping costs to other countries, please call 1-888-855-9463. Payment Options: Second Wind accepts major credit cards and PayPal. Ordering is easy. Select the item(s) you wish to purchase and click on the Add To Cart button. When you are finished shopping, click on the View Cart button. You may select the Continue to Shop button or Proceed to Checkout button where you can select your method of payment. If you want to pay by check, payment should be forwarded along with the order form (Downloadable pdf). You may find it to your benefit to join the organization and add your first year’s dues with your order. You may join online now. 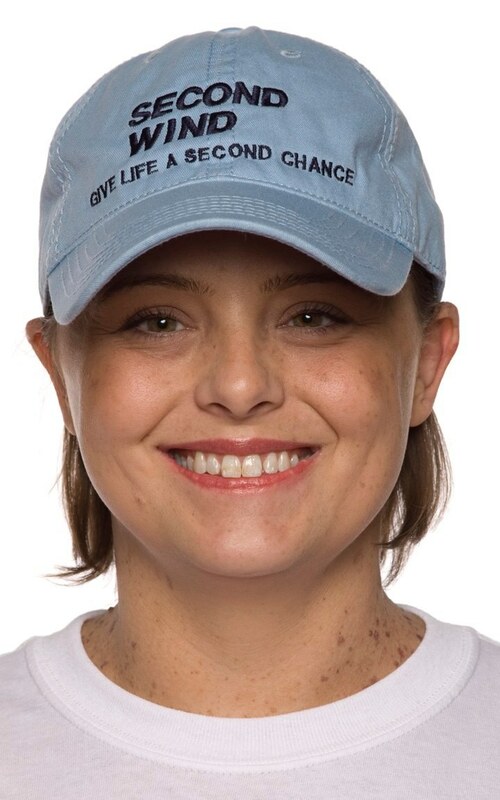 Hats are 100% cotton and are adjustable for comfortable wearing.”Second Wind” and “Give Life A Second Chance” are embroidered on the front of the hat in navy blue thread. 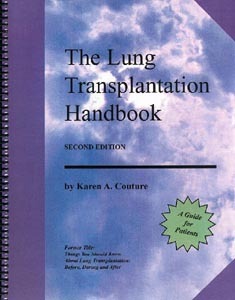 This comprehensive, 270-page book, written by lung transplant recipient and Second Wind member Karen A. Couture, covers the entire transplantation process from beginning to end for both lung and heart-lung transplants. 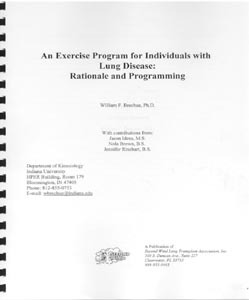 An excellent manual written by Dr. William F Brechue with programs designed for those with lung disease. It has 70 pages and includes:Flexibility Program, Resistance Exercise Program, Machine Program, Dumbbell Program, Calisthenics Program, Aerobic Exercise Program.